Protein is without a doubt the most commonly used dietary supplement for athletes, dieters, and bodybuilders. While all protein is made of the same amino acids, the manner in which you use protein in your daily life can specifically target uniquely desired outcomes. 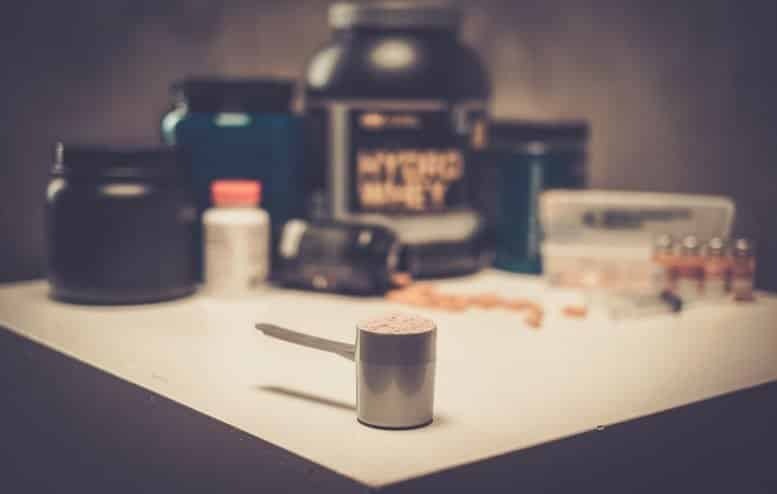 It is perfectly common for men and women to take protein supplements while burning fat, building muscle, gaining weight, and even getting absolutely shredded. No matter your goal, protein has a role to play in your body; it’s just a matter of what else you are doing. Here, we’re going to lay out how you should be taking your protein. This ranges from the actual time you take your protein all the way to what else you are taking with it. By the end of this article, you should have a few new tricks up your sleeve whether you began reading as a complete novice or a confident athlete. With bulking comes huge gains – but the cost of those gains is massive quantities of food, sleep, and hard bodybuilding. While bulking, protein is going to play a big role if you are having a difficult time meeting your macros (macronutrient needs). Specifically, you are going to utilize protein powders to add more net protein to meals as well as add protein between meals. That’s where the magic is going to happen – using protein to reach farther. However, protein powders are not the solution for replacing real food. Even if you are taking a mass gainer protein, there is a magic to eating real food that you don’t want to miss out on. So, while BULKING and introducing protein powders to your diet, focus on these principles. While cutting fat most people focus on their overall calories and carb intake alone, however, protein intake is equally important. While dieting, it is essential to create a negative calorie intake with limited carbohydrates. But, that negative (or near negative) intake must be balanced with proper protein intake. Why the proper protein intake? Well, while you diet your body is dieting there are 3 primary sources of energy – what you eat, stored fat, and muscle. When you reduce what you eat, all of that stress transitions over to stored fat and muscle, but we don’t want you to burn off your muscle. After all, muscle itself burns more calories, gives a body its attractive appearance, and is an obvious necessity. Therefore, we need to protect it. And, that can be pretty easy with simple protein supplementation. By keeping a constant protein influx about every 2 hours, you can really dampen the amount of body muscle that is metabolized for energy; while preserving fat metabolization. By no means does this suggest that you can go on an only protein diet and lose massive quantities of fat in a healthy manner, that’s not going to happen. However, if you really balance out your diet intake by reducing carbohydrates and fat while increasing protein – fat burning is really going to occur. Ramp it up with one of our top reviewed fat burners, and you’re going to see progress even more quickly. Here are the basic pointers while you diet and cut fat. Constantly, people of every starting point wonder if they can build muscle while burning fat. 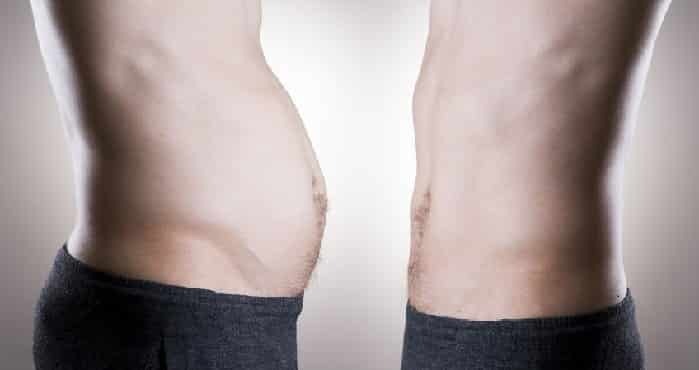 It’s one of those things that seems too good to be true, so instead they default to either bulking or cutting – which is an unnecessary time consuming detour. For someone that’s out of shape, fat is the enemy. On a social presence level and personal emotion level, it’s an unavoidable stressor. So, when men and women begin transforming their lives – they always want to kill this villain first; by any means necessary. Those means however, often do not support the growth of muscle tissue. And, at the end of the day its muscle tissue that’s going to make a lean body look good. So, you will see the classic case of the person dieting way more aggressively than they need to – because they 1.) Can’t see the tone in their body due to lack of muscle, or 2.) Don’t have enough muscle to raise their daily energy expenditure enough to continue burning fat in a healthy way. While bulking, most guys raise their caloric intake approximately 1,000 calories above their standard metabolic requirement. Similarly, dieters do their best to cut down to a 500 or more calorie deficit from their daily metabolic requirement. This is reasonable for each independent goal. However alternatively, you can balance between 250+ or 250- your daily metabolic needs and attack fat while building muscle at the same time. It isn’t necessarily easy, but can be achieved by both establishing a constant and raised protein intake while really focusing on the proper timing of carbohydrates and fats. Burning fat while Building Muscle is commonly referred to as ‘Recomping’ as you are working to completely change the composition of your body. Here are the standard guidelines that we find important while doing this. Here, we covered what has worked for us personally for achieving physique goals with the help of protein. To make it all more effective, a lot was added to this article in addition to simple protein timing. So, reconstitute your schedule, focus on your lifts, get that sleep, and really consider ‘recomping’ instead of only cutting or only bulking. Unless you’re at the professional level preparing for a show, building muscle while burning fat is completely real and doable. Go get it!